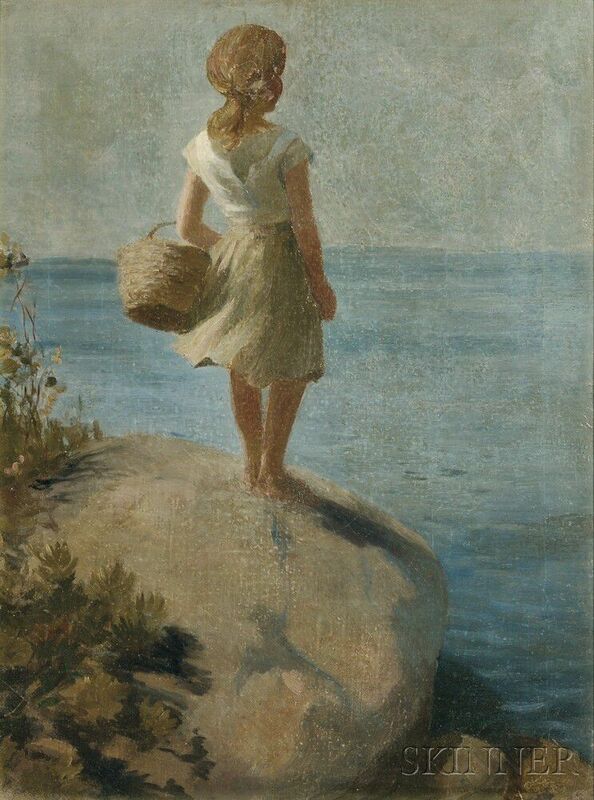 Young Girl Gazing at the Sea. 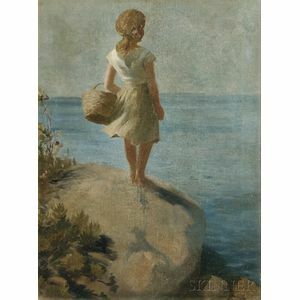 Signed "ADAM EMORY ALBRIGHT" l.r. Oil on canvas, 24 x 18 in., framed. Condition: Lined, retouch, scattered paint losses, areas of possible skinning, craquelure, minor surface grime. Original support trimmed of tacking edges and lined onto new canvas. Framed dimensions are 32 x 26 in.